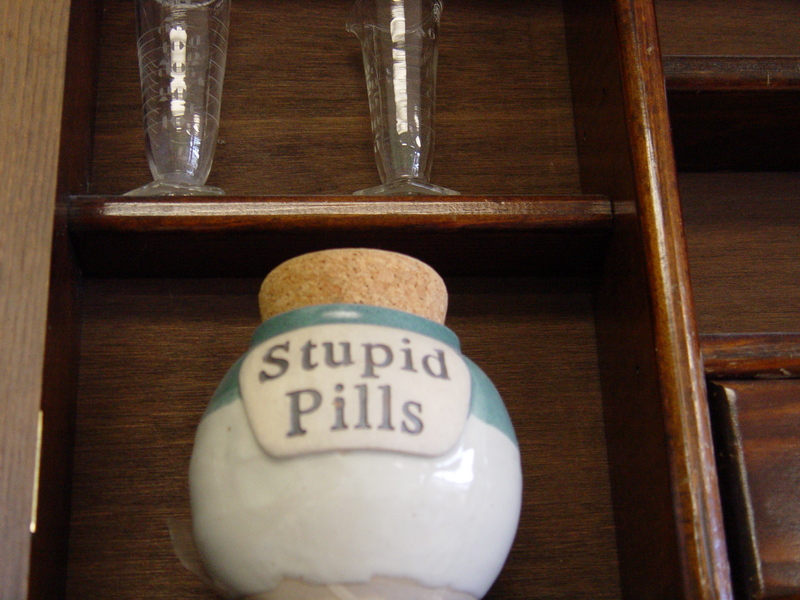 Stupid pills: Throwback Thurs Marco goes to Stuart. After begging him for a year he finally showed up. The initial meeting was invited Republicans only. Some people we knew stuck their tongues out at us as they walked by into the meeting. Truly a dagger into the hearts of the “clean water” River Warriors which is non partisan. In the end we were invited in if we promised to be quiet. The speakers were all very respectful to Marco Rubio. He was given a bottle of dirty river water. He was given an explanation by Mark Perry our expert on all things St Lucie River, Indian River Lagoon and Estuary. What the issue? Not that we were decimated and destroyed by the discharges from Lake Okeechobee. To be far almost everyone takes sugar money. Florida’s own Debbi Wasserman Schultz is the worse. She’s a great buddy of Marco Rubio. Read the rest of the article. Then read the comments. They wonderful. People are really getting with this program. Here is some excellent commentary from our friend Mista Gimleteye! “With a little more space, Mr. Mann might have added some pungent details. How Rubio, for example, while leader from Miami in the Florida legislature, strongly supported Big Sugar’s right to pollute the Everglades at taxpayer expense. That was in the early 2000’s, when Rubio was Jeb Bush’s point man in weakening federal and state agreements to protect the dying River of Grass from Big Sugar’s fertilizer runoff. A decade of litigation by Friends of the Everglades and the Miccosukee Tribe resulted in an $880 million dollar agreement in 2012 by the Gov. Rick Scott administration that is now shifting the entire burden, again, onto taxpayers and away from the sugar industry. Instead of siding with taxpayers, Marco Rubio chose the team that controls the state: billionaire insiders like the Fanjuls of Coral Gables and Palm Beach who run the sugar industry and insure its prerogatives like a syndicate. What Mann doesn’t quite explain is how Rubio’s logic in defense of Big Sugar works. Rubio’s defense of Big Sugar as “national security” is rote memory from the Big Sugar’s playbook: “if you don’t let us grow sugarcane and pollute, we will put suburban sprawl on the land we own.” That’s not a threat: it’s gospel that is blithely accepted by Democratic leadership as well as Republican, gliding past the awareness that strong growth management regulations in favor of the Everglades once attempted to guide sprawl away from what taxpayers have already spent billions to protect. I know this is a lot of stuff. It’s important stuff. But the most important thing to remember is when we needed our Senator to show up for us he didn’t. We begged. We tweeted. We emailed him letters. We sent him letters. No show Rubio. How in the world can this person expect to be president if he can’t show up in his own state? This entry was posted in florida, politics, presendential candidates, us politics and tagged big sugar, florida, green toxic algae, marco rubio, martin county, national politics, national security, pollution. 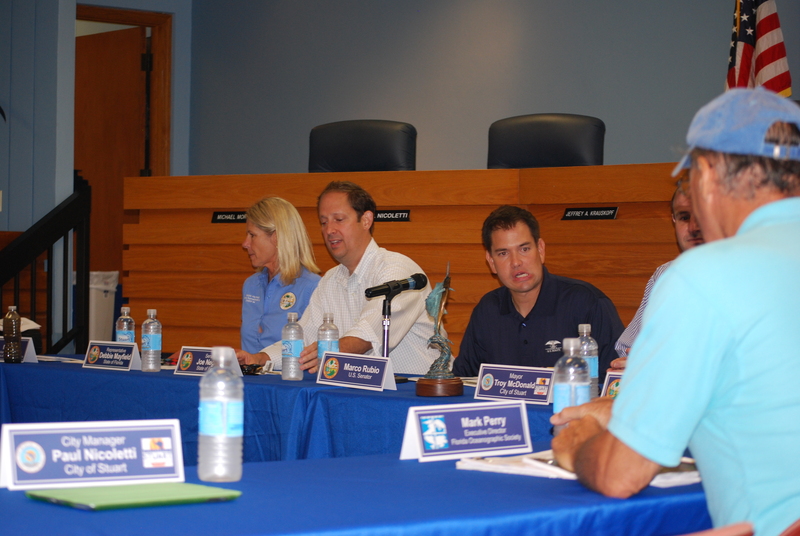 ← Goodwill For the St Lucie River/Indian River Lagoon! 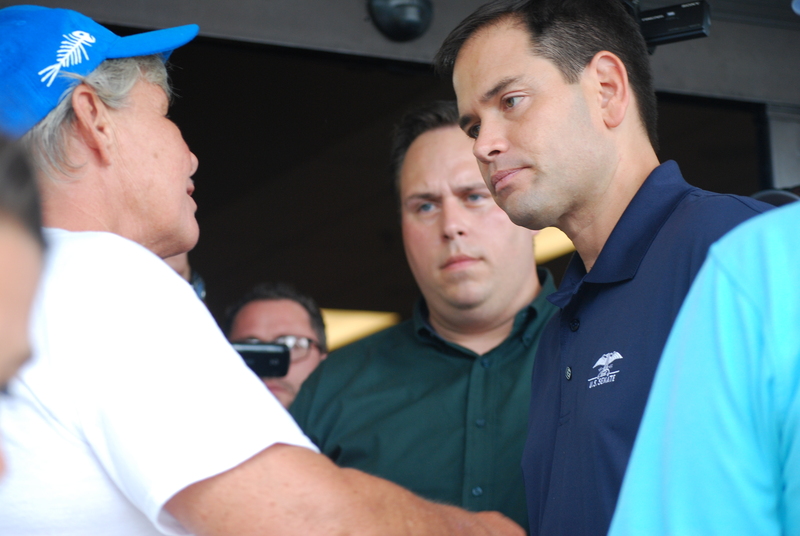 Rubio is a sorry example of a public servant. I saw him approx 9 months ago at volleyball tournament in Orlando. I asked him the state and its people need his help to clean the water. He said that’s a state problem, I’m Federal. I said that he represents Florida and that the problem is none of our politians want to do anything to help the people. He had his canned robotic answers of bullsugar he spewed out of his sorry trap. Thanks for your blog Cyndi! Thank you Mike. He is very full of BS and has no business running for anything.